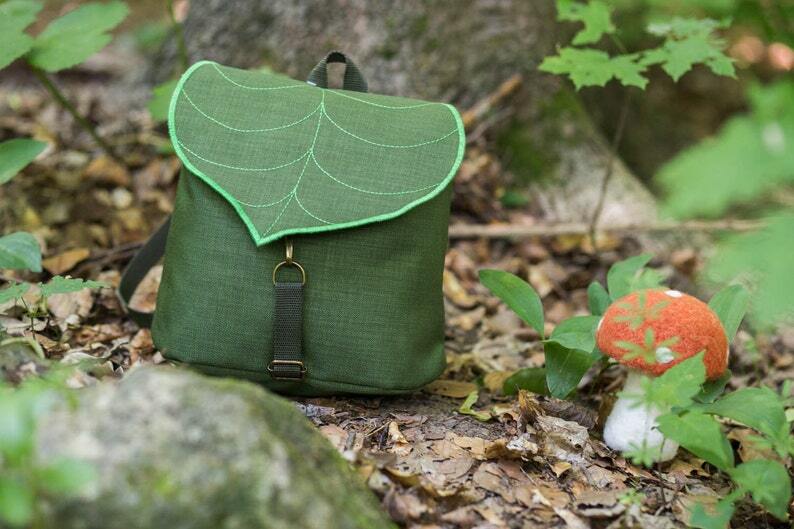 Adorable Army Green Leaf mini backpack, for the city girls that want to add a bit of nature to thei wardrobe. Lightweight yet spacious, the perfect accessory for, nights out dancing or simply running errands! It will work great for both adults and kids. Each bag is hand assembled and sewn together to ensure it's perfect before it arrives. Wow, this came FAST. She had it in stock so I didn't have to wait for her to make it and it arrived in 2 business days all the way from Hungary to Canada! Impressive! Not the vendor's fault but I did have to pay $24 in customs charges which made the purchase rather expensive but the bag itself is exactly what I was looking for; a small backpack to carry instead of a purse for going to Disney and other times I want to be hands-free. Great design, fast delivery. Thank you ! A gorgeous lightweight little bag and excellent friendly service.